The effects of the partition of India in 1947 have been more far-reaching and complex than the existing partition narratives of violence and separation reveal. The immediacy of the movement of refugees between India and the newly-formed state of Pakistan overshadowed the actual effect of the drawing of the border between the two states. 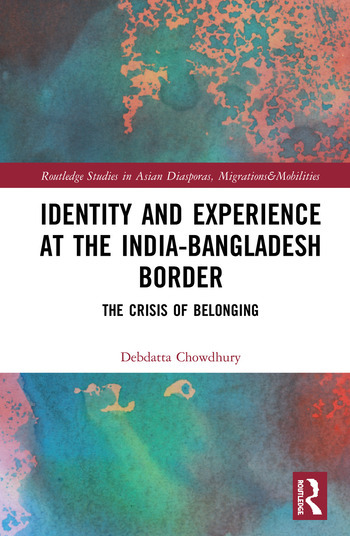 The book is an empirical study of border narratives across the India-Bangladesh border, specifically the West Bengal part of India’s border with Bangladesh. It tries to move away from the perpetrator state-victim civilian framework usually used in the studies of marginal people, and looks at the kind of agencies that the border people avail themselves of. Instead of looking at the border as the periphery, the book looks at it as the line of convergence and negotiations—the ‘centre of the people’ who survive it every day. It shows that various social, political and economic identities converge at the borderland and is modified in unique ways by the spatial specificity of the border—thus, forming a ‘border identity’ and a ‘border consciousness’. Common sense of the civilians and the state machinery (embodied in the border guards) collide, cooperate and effect each other at the borderlands to form this unique spatial consciousness. It is the everyday survival strategies of the border people which aptly reflects this consciousness rather than any universal border theory or state-centric discourses about the borders. A bottom-up approach is of utmost importance in order to understand how a spatially unique area binds diverse other identities into a larger spatial identity of a ‘border people’. The book’s relevance lies in its attempt to explore such everyday narratives across the Bengal border, while avoiding any major theorising project so as not to choke the potential of such experience-centred insights into the lives of a unique community of people. In that, it contributes towards a study of borders globally, providing potential approaches to understand border people worldwide. Based on detailed field research, this book brings a fresh approach to the study of this border. It will be of interest to researchers in the field of South Asian studies, citizenship, development, governance and border studies. Debdatta Chowdhury is currently an Assistant Professor in Gender Studies at the Centre for Studies in Social Sciences Calcutta. Her research interests include border narratives, citizenship and migration discourses, especially across the South Asian borders. Her research interests also include feminism, caste identities, queer theories and narratives, especially in the South Asian context.